The decision to have surgery is often a difficult one for most patients. We put out trust into the hand of others. Thousands of surgeries are performed every day in the United States. Most are performed without any complications. Unfortunately in some cases surgical errors can occur. As an experienced Chicago medical malpractice law firm, we often times know these errors can be minor. Other times the errors can be catastrophic. We've all heard stories about the patient that had the wrong leg amputated- or surgical instruments, circulating sponges, and other devices left inside a patient. Some surgical errors can involve the wrong patient being operated on. In cases involving surgical errors, it needs to be determined whether the result was a bad outcome or was it a preventable surgical mistake or error. When surgical complications occur or a bad outcomes is the result, this does not, always mean that malpractice was committed. Malpractice involves making preventable errors or mistakes that cause serious injury or death. Many times, surgical errors are classified as “a known complication or risk of the procedure”. An experienced Chicago medical malpractice lawyer can determine whether this is valid or whether malpractice occurred. Surgical errors can be caused by surgeons, anesthesiologists, recovery room nurses and other health care professionals. To determine whether a surgical complication is the result of medical malpractice is can often times be a complicated issue. 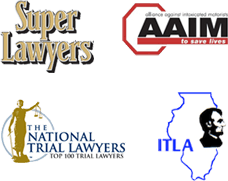 Therefore, it is essential to contact a knowledgeable Chicago medical malpractice attorney with the experience handling complex medical malpractice cases.